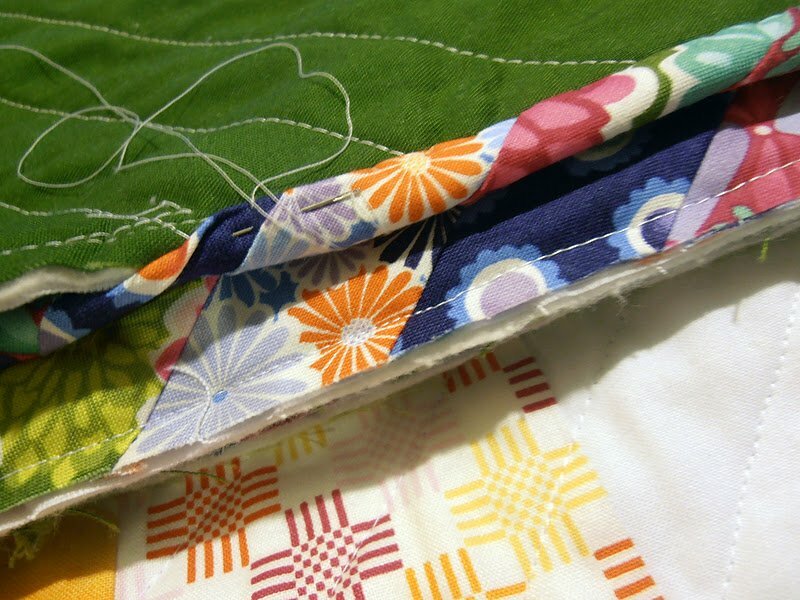 "It's taking a while to stitch the binding on my Swoon quilt. 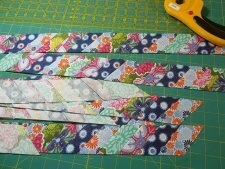 So, I thought that while we all wait for the finish, you might enjoy seeing a few of the process pictures for my striped binding. 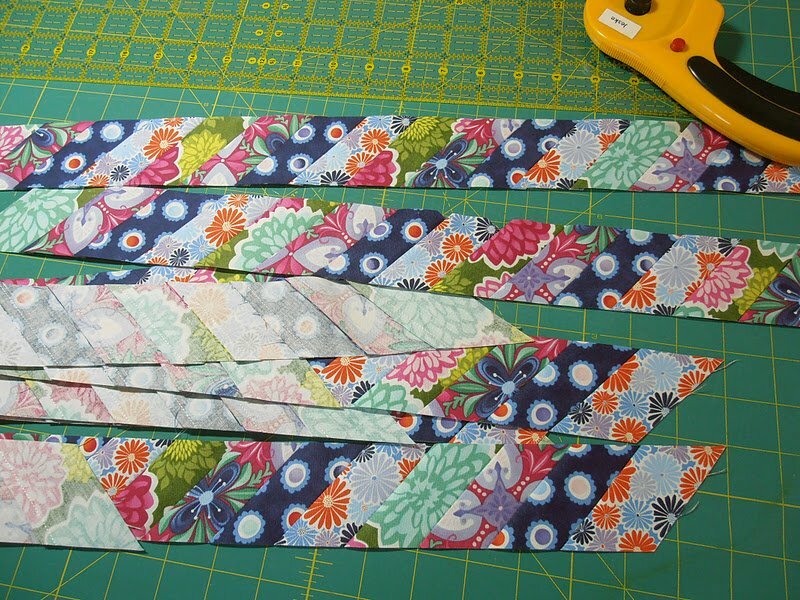 "Considering I needed 320" of binding, I figured I'd need close to a yard of fabric, so I chose four fat-quarters, making sure all the colors in the quilt were represented."